– I am a Sami (Editors note: Norway’s indigenous people) and proud of it, but our flag gives me no pleasure. It is aesthetically ugly and filled with an occult message that I absolutely can’t relate to. A Christian cross would have included much more, says Pastor Malvind Børresen to the Sami newspaper Ságat. Børresen is Pastor of “Himmelriket” (English: The Kingdom of Heaven) Pentecostal Church in Tana, Finnmark County. He believes the Sami flag is full of pagan symbols. 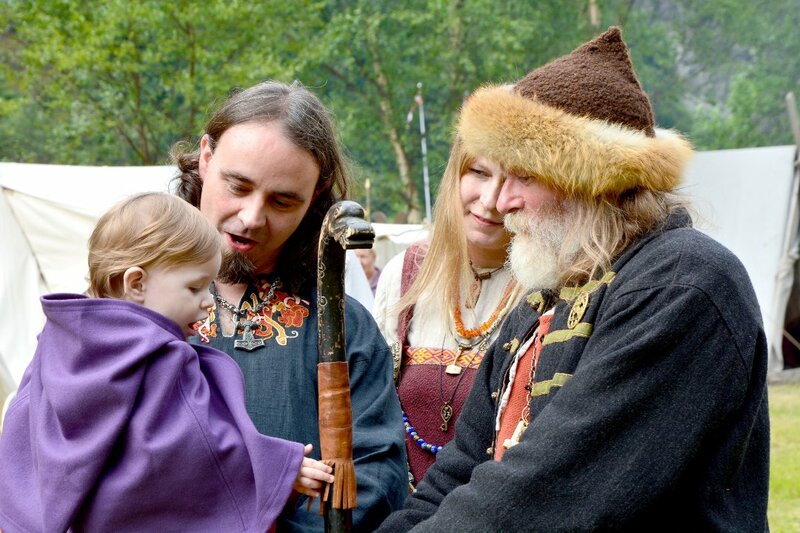 – Why not use the cross which the Sami and Nordic people have in common, Børesen asks. He emphasizes that he has nothing against his own people, or the flag. It is the content he does not like. In the fall, the pastor will be running for candidate in the Sami Parliamentary Elections and wishes to debate the issue. – My first concern is that the flag only contains spiritual and occult elements drawn from a selective part of the Sami history. The flag contains really nothing else, Børresen claims. The flag is the same for all Sami people, no matter in which country they live. It has the Sami colors and a circle symbolizing the sun (red) and the moon (blue). The flag is inspired by the Sami drum and the poem “Paiven parneh” (“Beaivvi bártnit”) by Southern Sami Anders Fjellner (1795-1876) and was created by the Sami artist Astrid Båhl from Skibotn in Troms County. It was officially approved in 1986 at the 13th Nordic Sami Conference in Åre, Sweden. Today, the flag has official status in Norway but it is not a national flag. Like many Sami and Sami politicians, ThorNews totally disagrees with Pastor Børresen and his view of the flag. Today, the vast majority of Samis are Christians, and the flag symbolizes several thousand years of history. The oldest written source about Norway’s indigenous people dates back to the year 98 AD, described by the Roman historian Tacitus. After a long period of repression and frustration, the Kautokeino Rebellion took place.in Kautokeino parish on 8 November 1852 when a group of Samis attacked representatives of “The Official Norway”. Insurgents killed the merchant and the sheriff of Kautokeino, set fire to the house of the merchant and whipped the parish priest and members of his household. To look down on the Sami flag is to look down on an entire group of people – in this case Børresen’s own kind – and its unique culture. Norway’s indigenous population was suppressed and integrated by force into the Norwegian society. Norwegian representatives and the Church have played a very negative role all the way back to the 1600s. In ThorNews’ opinion, the flag is beautiful and the colors and symbols reflect the Sami cultural tradition. We can not see, in contrast to pastor Børresen, any traces of occultism. If he believes that all Christian nations should have a cross as a flag symbol, we must disappoint him: Many national flags in countries where the majority of residents are Christians, do not contain crosses. Some of these nations include USA, Italy, France, Ireland, Germany, Netherlands, Brazil, Argentina … the list is long. 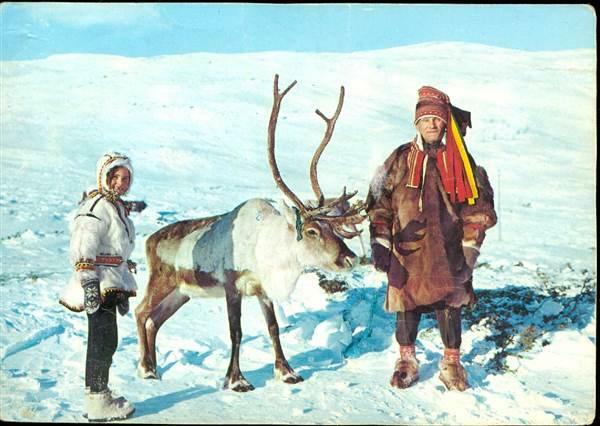 Bottom photo:”Samis and Reindeer”, 1970. Photographer unknown. People take offense and see what they want to see. Maybe he thinks the circle symbolizing the sun and moon means the people still engage in sun- or moon-worship. To which I say, so what? Well said John! We are seeing this kind of dominions Christianity Spreading and is very dangerous to democracy. Theocracy leads to a host of evils because leaders pretend they hear from God. Let every person practice their faith as they will and let none force others to change their religion. People do not see how history tried to repeat itself. Like the British Anthropologists that came after the invading Christians, the notion that a 20,000 year old Religious belief is inferior only by proxy of their ulterior motives. They label it as an animist belief which is too primitive to be considered seriously. I think they got it wrong. We do NOT separate the people from a GOD such as the Christians do with an intermediary Lord and then devise the Trinity 300 years later to explain the discrepancies. We are the Sons & Daughters of the Supreme. We are the Sons of the Sun and the Daughters of the Moon. Over the past 50 years there is resurgence in the belief that we and the nature of the entire Universe are connected as one Spirit. We Samis had that nailed 20,000 years ago. So now, who has the primitive culture? The Sami flag has to be the nicest flag I have seen. My own flag, the irish one of Green, white and gold symbolizes nothing of our ancient traditions, language or history, it barely represents the past 100 years! Why does he in the first place think it is any of his buisness to change the flag?? Must be ego on his part to think as one person he could change the flag. Just because he is a pastor….doesn’t give him any special power. Wow, I can’t believe this. I think it has more to do with other religion’s need for degrading other beliefs. We Saamis have a Thousand year PLUS problem with their constant attacks by missionaries trying to convert heathens. It even culminated with them using the issue of witchcraft for killing parents & elders in order to have influence with the young and impressionable. That was the impetus for my earlier comments. The Sun and the Moon and the four colors of the elements. Could it be better? Giitu / Takk / merci for your additional information on the Saami flag topic. There is a need in this world for poetry that speaks to the ages of time and to the peoples of time. So you have really been right where we all needed you to be when you added this background on Monsieur FJELLNER. My Orthodox priest said he thinks the sámi flag is one of the most beautiful flags in the world. This original comment is so filled with hate and stupidity that most of us don’t spend time trying to refute it. However, I think we are gratified when refuting comments are posted. Why do Christians have to try to put their cross absolutely everywhere? Christianity is a gigantic cult, and should not be part of the flag or any aspect of anything. I’m 12.5% Sami myself…and only learned recently of that fact. I am pretty sure Jesus wasn’t from the arctic circle area and has absolutely NOTHING to do with the initial heritage of the Sami people. The flag is not ugly at all. What would be truly ugly is to put a cross on it and taint it with a 2000 year old fairy tale that has ruined many cultures. Don’t let it ruin this one. Tell this pastor to take a hike to some other place and take his mythos with him.